This is where Epic Games Fortnite comes into play. Fortnite started as a team-based “player vs. environment” survival game, similar to Just Survive, that released in July of 2017. 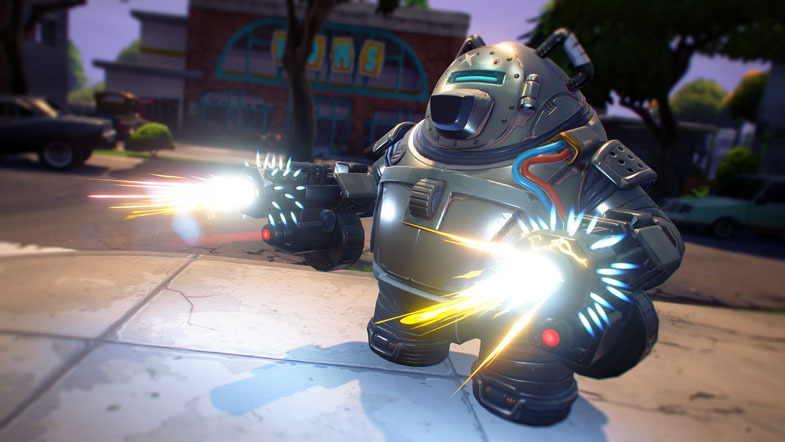 Though it had its own added twists compared to other games in its genre, Fortnite was not met with positive reviews from the community. It was plagued with a jumbled UI, all but pointless progression systems, and an overall lack of focus towards the games true purpose. These things had driven much of the prospective player base away, and the game was chocked up to be a failure by various outlets. In September of 2017, Epic Games made the decision to add a battle royale mode to their failing game in hopes of revitalizing the IP. Early Access reviews turned positive. 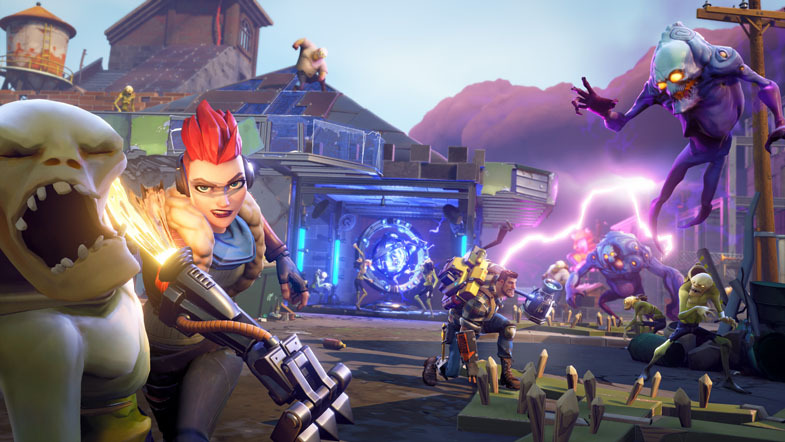 It seemed that the addition of base-building, coupled with the cartoonish look of the game, made for a formula that would help Epic Games create one of the most popular games played online today. When comparing Fortnite to other battle royale games, various things set it apart. The cartoonish look is the first thing that many new players will notice. Albeit inspired by titles such as Team Fortress and Overwatch, the look is unique to Fortnite in the sense that most battle royale games, like PUBG and Arma 3, have graphics anchored in realism, making these much more intensive on PC requirements, and consequently harder for anyone with an average rig to play competitively. Fortnite does not suffer from this problem, and runs better that most of its other competitors on just about any PC. Then is gameplay. At its base, a battle royale game is just survival of the fittest; 100 people jump in, try to survive an ever-shrinking storm, with only one coming out as the victor. Fortnite adds to the mix weapon rarity, an almost completely destructible environment, and base-building. The start of games is about the same as any of its competitors: players drop down onto the map and foraging for the best loot they can find while trying to survive. Having the color-coded weapon rarity makes it easier for players to pick out the best loot without spending too much time in the same place. Following this initial phase is where Fortnite really starts to shine. Players, equipped with their trusty pickaxes, start destroying just about everything in sight to collect resources. From houses to cars to rocks, nothing is safe from these ruthless scavengers. The players use the resources they accumulate to build up bases for more creative fights as the game progresses on, adding a level of depth no other battle royale currently has. The final, and arguably most important element that sets Fortnite apart from its competitors, is the fact that hey…It’s Free to Play. This makes it accessible to a much larger player base, and easier for someone not familiar with the genre to give it a try. The original PvE mode is still a game you need to pay for however, and will not be free until later this year. Chris is a part time scientist, full time gamer. When not running quality control in a lab, he can be found knee deep in a JRPG, or engulfed in whatever anime he is currently binging. He spends most of his time playing MOBAs, (J)RPGs, and rougelike games. Though he tends to have strong opinions about most of the games he plays, he is very adamant about keeping all his writing fair and unbiased.